The Class 10 students at Turney School have been experimenting with different instruments during our regular music lessons. We started off our work by watching a selection of short videos. The aim was to look for and observe different rhythms in various activities. An example was a fast-paced basketball match that had a speedy musical rhythm to match the action. Our practical work in Class 10 saw the students recreating some of these rhythms using the school African drums. This was very much an experimental session. An adult drummer led the drummers, creating a sound and then calling out for a response from the other drummers. Other students have been learning to recognise different sounds using the Turney School keyboards. 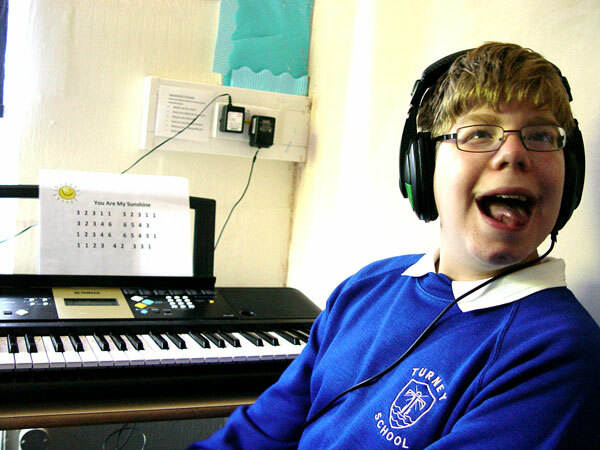 We worked with a musical programme that allows different keys to create everyday sounds or animal noises. Examples included a car horn, the bark of a dog or a frog croaking. The task for each student was to identify the sound, and then describe what they could hear.